Many of the projects I take on with my job involve a great deal of focus on what food looks like. The job of a food stylist is to create those beautiful images we salivate over in magazines, websites and increasingly social media accounts. You work alongside a prop stylist and photographer to create gorgeous pictures that you hope will inspire. Often it can take well over an hour to get the perfect shot. This could involve using tweezers to move an unsightly piece of parsley, glossing up the skin of a juicy, roasted chicken or artfully dusting with a hint of powdery icing sugar. It’s all about the look! 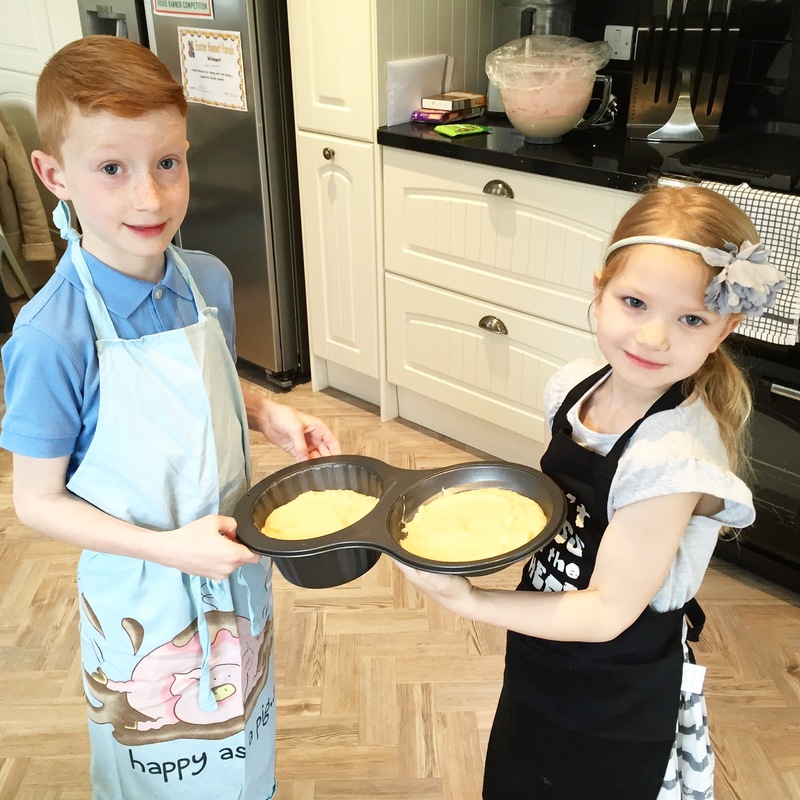 Yesterday I spent the day cooking with my niece and nephew. 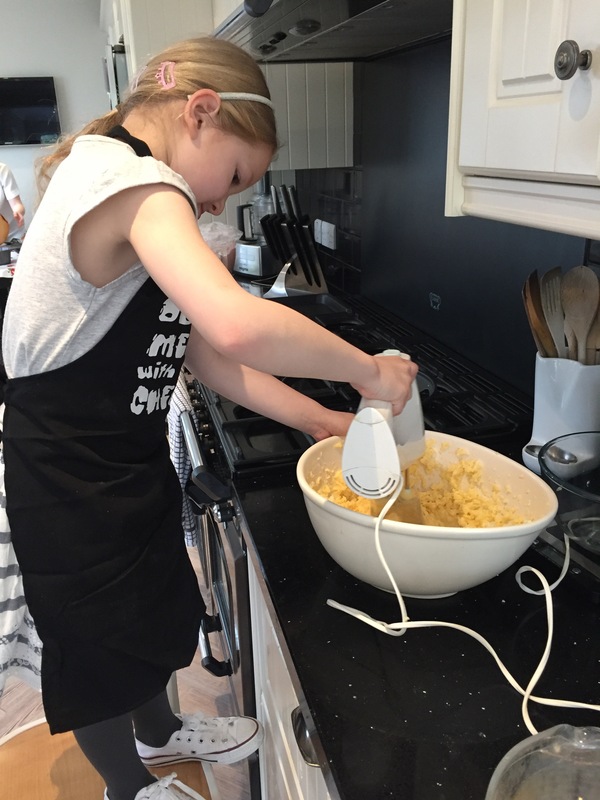 Although this was just a fun way to spend a day of their Easter holidays, cooking with children and teaching them about health and nutrition is something I feel really strongly about. 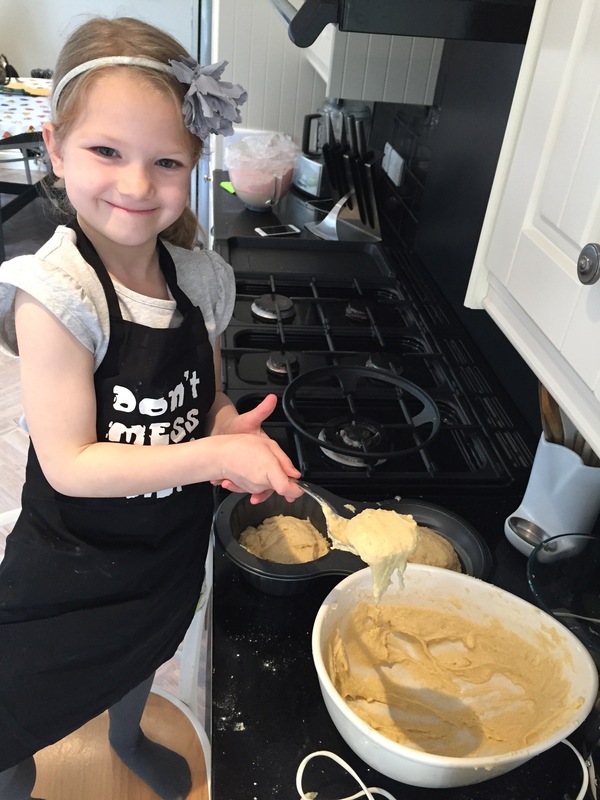 To give children the gift of cooking is something that will be invaluable throughout their life. So many health issues can be combatted through a good diet, we really need to get on board with this in the UK. I also learnt a lot from the children yesterday. The day we spent in the kitchen, in sharp contrast to a lot of my work, was all about the time spent together. The fun of cooking, the activity, the process – this was the important factor, not the end result or the appearance. 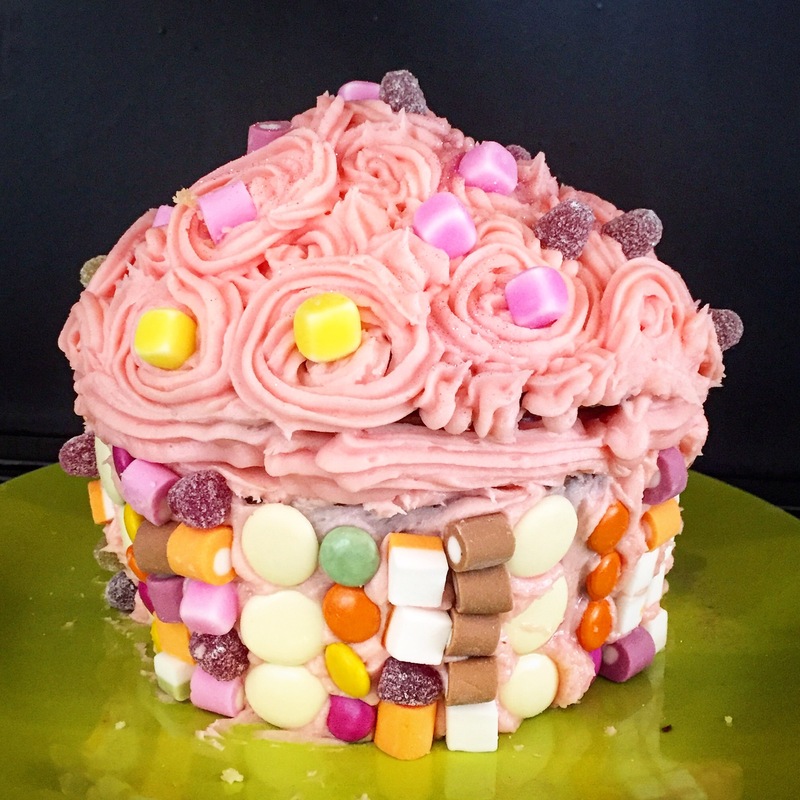 We made a giant cupcake and it looked great but that was just a bonus -the icing on the cake, excuse the pun! If you can try and take this approach to cooking, focus on the pleasure of the activity without worrying too much about how it will look, I think you’ll find your time in the kitchen so much more rewarding. It’s easy to get hung up on how something should look, especially with the pressures of social media. So make something this weekend but switch the focus to enjoying yourself and try not to worry too much about how it might turn out. 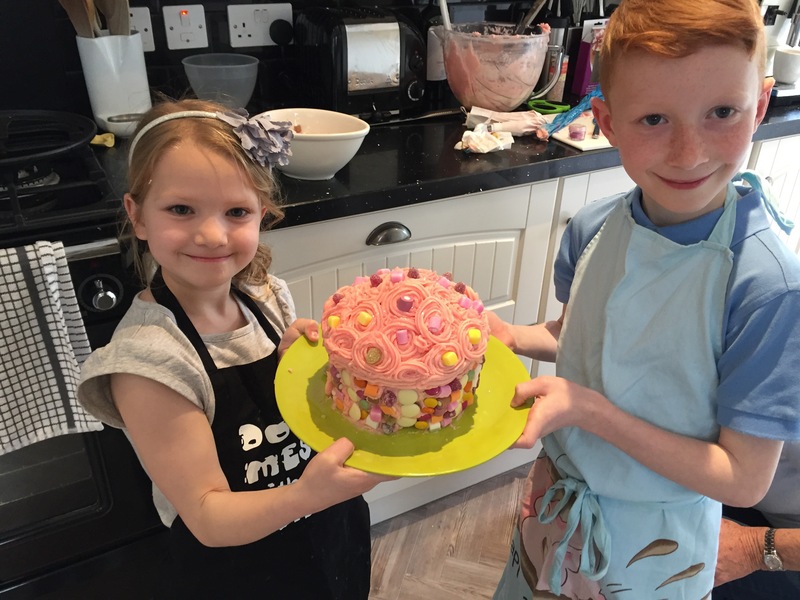 I’ve learnt the most from the recipes that never made it onto Instagram, mistakes I’ll never make again plus all the recipes that looked horrendous but tasted amazing – I’ve enjoyed making them all! In fact we can get blindsided by appearance in all aspects of life, we beat ourselves up and constantly compare ourselves with others. This is honestly not the route to happiness, believe me I know from experience. Try to appreciate your unique qualities and the pleasure that comes from being surrounded by a diverse group of individuals. If you must compare, try not to compare yourself with someone who you believe has more than you. Instead compare yourself, in a compassionate way, with someone who has less. Notice how lucky this makes you feel, how grateful and satisfied you become with just a simple change in perspective. Cook from a different perspective and notice how satisfied you’ll feel. Have a great weekend all of you! 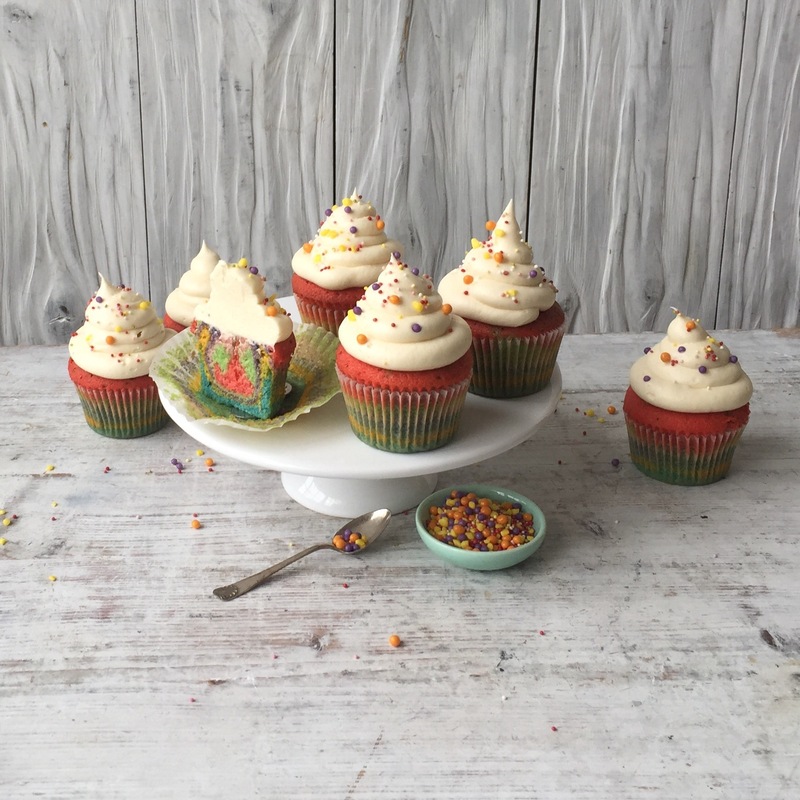 *You can get the giant cupcake tin online at Amazon or from most cookware shops. heat oven to 170C/150C fan/gas. Grease the tin really well. Beat the butter, sugar and vanilla with electric hand mixture until pale and fluffy. Add the eggs gradually, beating well after each addition. 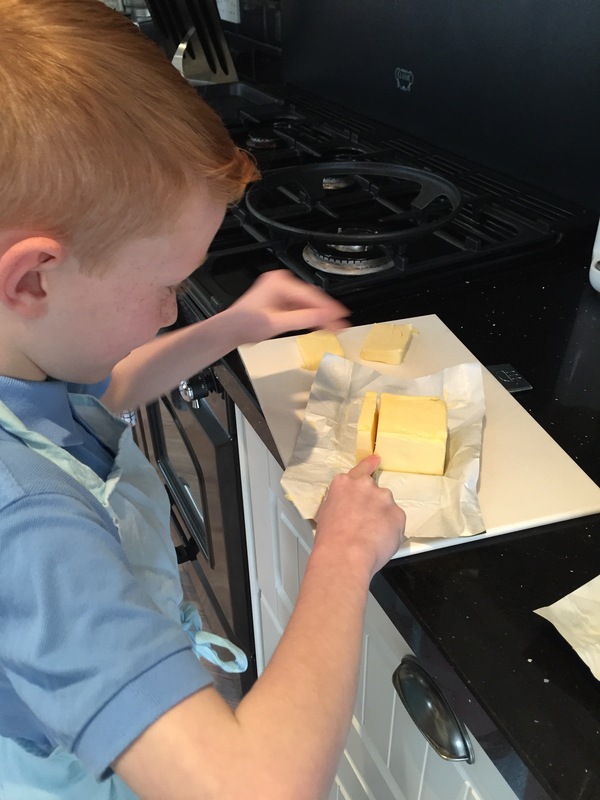 Fold in the flour and the milk, using a large metal spoon until evenly combined. Divide between both parts of the tin and cook for 40 minutes, remove and check the top section of the cake with a skewer, if it comes out cleans gently remove it from the tin. Be careful it will be really hot, transfer to a wire rack. Continue cooking the base for a further 15-20 minutes, until a skewer also comes out clean. Cool completely on a wire rack. mash the butter and the icing sugar together in a large bowl, this will stop your kitchen being sprayed with a cloud of icing sugar. 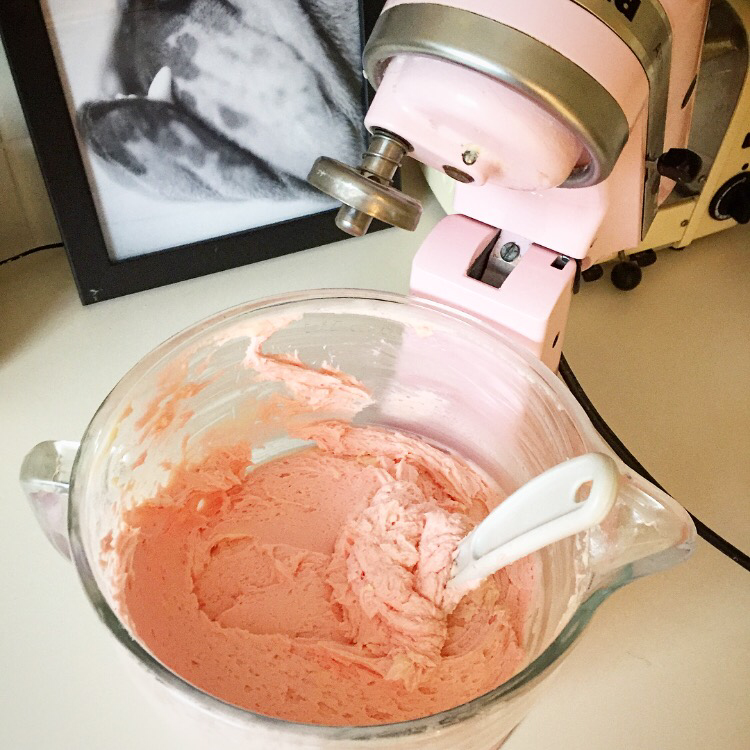 Once mashed beat with electric mixers until pale and fluffy. Add the milk and flavourings or colourings and beat until well combined and evenly coloured. Trim the cakes using a serrated knife so the have a flat surface to stick together. Pop the base on a board or serving plate. Use a pallet knife to roughly cover the bottom section with buttercream. Cover with sweets. 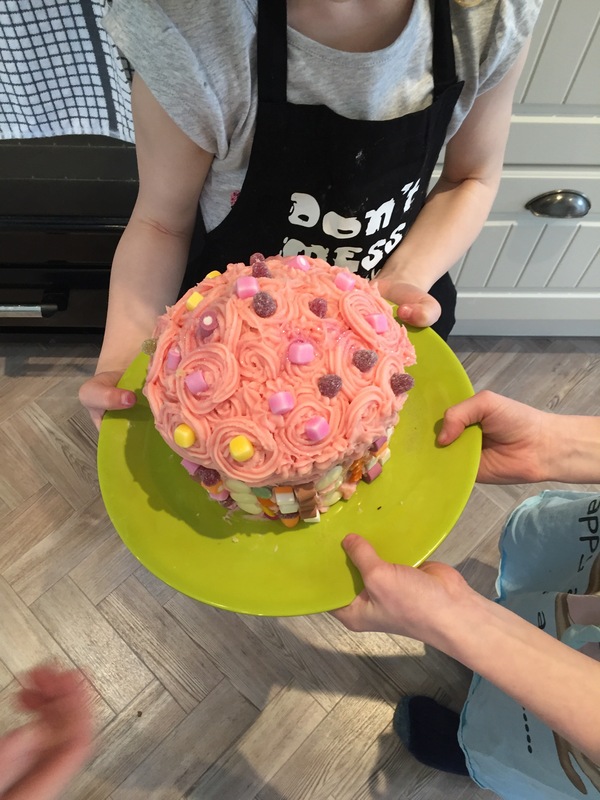 Put more buttercream on the top of the base and put the top of the cake on top, gently press down to stick. Put the rest of the buttercream in a piping bag fitted with a star nozzle. Pipe swirls onto the top of the cake to look like flowers. Stick sweets in to the middle of each flower. Enjoy!